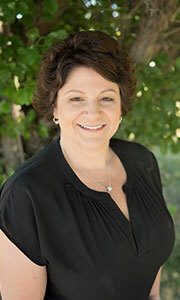 Cherie’s been part of Manente Orthodontics since 2004. She enjoys getting to know our patients during treatment and loves seeing the big, beautiful smiles when patients finish! Cherie sets up the treatment area, seats patients, and assists chairside during procedures. She also offers homecare guidance and encourages patients to take care of their smile’s health. Outside of work, Cherie enjoys time with her family and friends, as well as biking and working out at the gym. 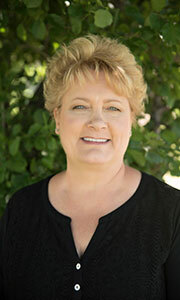 Cindy’s orthodontic career started here in 1981 and she’s been with us ever since! She enjoys interacting with our patients and parents, and loves each final, wonderful smile! For Cindy, seeing a patient’s reaction to what they’ve achieved is the most rewarding part of her work. She spends her days in the clinic: getting patients ready to see the doctor, providing education, and tracking and ordering supplies. Cindy enjoys spending her free time with her family, including her husband and three children. She also likes to read, craft, be outdoors, garden, and raise funds by walking for leukemia charities. 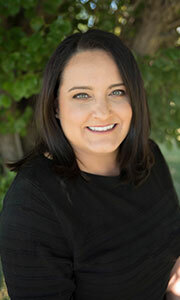 Danielle has more than 20 years of experience in the orthodontic field. She joined Manente Orthodontics in 2017 and is enjoying getting to know our patient family. She especially likes seeing our patients gain confidence as they achieve an amazing smile! Danielle manages the schedule, handles insurance billing, and works with patient families on budget-friendly financial contracts. 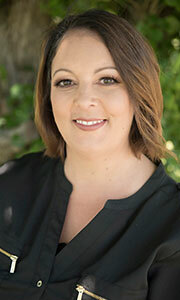 Outside the office, Danielle is an avid crafter who enjoys traveling and being with family and friends. Joanne’s first job in the orthodontic field was right here, starting in 1975, after she completed an associate’s degree in dental assisting. 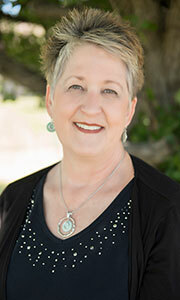 She enjoys helping families optimize their insurance benefits and reduce treatment costs. For Joanne, watching patients develop a great smile they love to share is the best experience. Joanne and her husband Bob live in Niagara Falls. They have two children and have been blessed with three grandchildren, too. Joanne enjoys crocheting, camping, and occasional trips to the casino. She and Bob belong to the Disney Vacation Club and visit Disney with their grandchildren at least once a year. Julie joined us in 2017 and holds a Master of Science in health education. She loves the satisfaction that comes from seeing patients’ joy and confidence blossom as they change their smile! Julie answers the phones, schedules appointments, keeps the front desk and reception area organized, and handles other administrative tasks. Outside the office, Julie enjoys time with her family and friends. Her many hobbies and interests range from reading to cooking and baking; she also travels as often as she can. 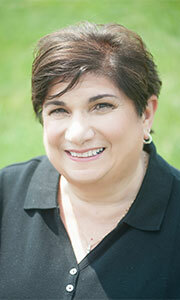 Pam started working in the dental field in 1975, in orthodontics in 1994, and joined us in 2014. She enjoys getting to know our patients during treatment and seeing them finish with a beautiful smile. Pam provides chairside assistance during procedures, to support the doctor and make sure the patient is comfortable. Pam and her husband Paul have been married for more than 15 years. They have a dog and three cats, and Pam has three grandchildren she loves to spend time with. Pam also enjoys working on her 130-year-old house and cruising the Caribbean. 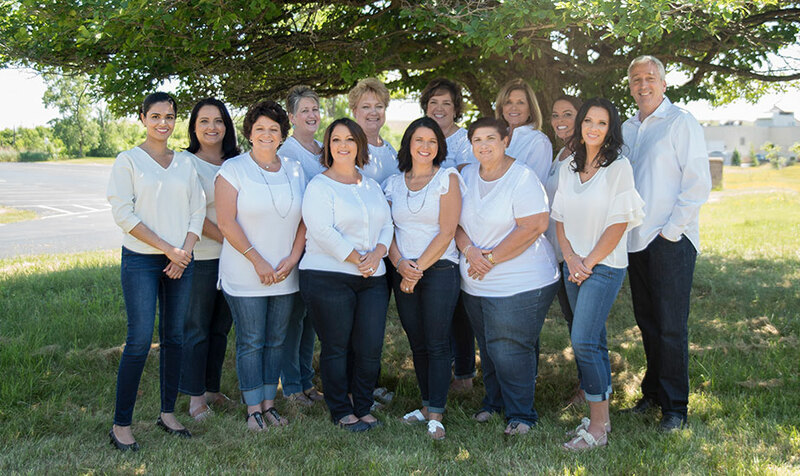 Sue started working in the dental field in 1993 as a certified dental assistant, then became a preventive dental assistant and a certified dental assistant-level II. She joined us in 1999. She enjoys meeting new people and seeing the excitement in our patients’ eyes before and after treatment. Working with patients at the initial visit, Sue assembles the records, reviews the treatment plan and options, discusses insurance and financing, and answers questions. Sue was born and raised in Canada. She and her husband Anthony have two beautiful daughters, Giuliana and Rosalina. She and her family enjoy camping, traveling, reading, fishing, and cheering for the Leafs. Wendy started working in the field in 2006. 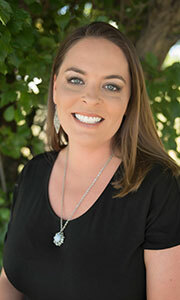 She joined us in 2017 and is a certified dental assistant. 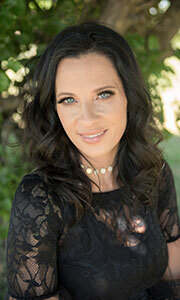 Wendy enjoys seeing how transforming a person’s smile can make them happier and more confident. She assists the doctor chairside during bonding and adjustments and also provides one-to-one patient care. Wendy’s happily married and has two sons, two stepsons, and a stepdaughter. The family lives in Lewiston and enjoys time with each other, their two Golden Retrievers, and family and friends. Wendy loves to read, travel, garden, and hike, and spends most of the summer on the lake in Canada.